This free Sunday School lesson is about Jesus’ parable of the seeds planted on different types of soil. This lesson was prepared for an older elementary age Sunday School class, but you could adapt it for younger students or use it in Children’s Church as well. Following the lesson there are additional resources to help for the individual needs or your class. For another approach to this same parable, check out our related lesson on Jesus’ parable of the soils. Encouragement for teachers: Each time you share God’s Word with students you are sowing seeds. As teachers we cannot see the condition of the hearts of those we share God’s Word with. Pray for God to prepare the ‘soil’ of the students’ heart so as they hear the Word of God presented to them they can respond by faith and obedience. Students will learn that the condition of a person’s heart determines how he/she responds to the Word of God. After being introduced to some Parable of the Sower Characters, Students should be able to recognize the condition of their heart. To keep a tender heart towards God and His Word, a person needs to daily read the Bible, memorize Scripture and pray. Activities: If time is limited for your class have the Memory verse printed on index cards to give to students to memorize during the week. Materials needed:Potting soil, plant pots or styrofoam cups, lunch bags and forget me not seeds. Bring a large sheet if you are going to have the students put soil in cups. The sheet makes for easy clean up. Before the students put dirt in their cup they can write Psalm 119:16b NASB “I Shall not forget your Word.” on their cup. If you want to prepare a label for them to decorate with the verse on it they can color and paste the label on the cup. Another idea would be to have the students decorate a craft stick with the verse written on it to put in the plant pot. To prevent the pots from spilling in church have students put their name on the lunch bag and have them place their plant inside the bag and fold up. If you would like to use the Parable of the Sower Character element of the lesson: before class prepare pictures or have puppets that represent the characters that will be introduced to the students. This lesson has been prepared as a guide for teaching a Sunday School class. It was not meant to be read directly to students. As your pray and prepare the Lord will impress on your heart what truths He wants you to teach your students. Hand out Bibles to those who did not bring one to class. Have each student turn in their Bible to James 1:22-25. Choose volunteers to read the verses. Each Sunday we come together and open God’s Word together. These verses tell us that when we read God’s Word it is like looking in a mirror. This mirror doesn’t show us if we have messy hair or food on our face. This mirror shows us the condition of our heart. If we are getting ready to go somewhere we don’t run by the mirror and take a quick glance at ourselves and feel that is enough to be ready for the world. Most of us want to take a few minutes and make sure we don’t have toothpaste left on the corners of our mouth. Did we comb our hair so that it is neatly in place? Unfortunately many of us look at our hearts with a quick glance into the mirror of God’s Word. Because we don’t take a few minutes and really look we don’t notice that we are starting to get a bad attitude about something. If that bad attitude is not taken care of it becomes a bigger problem. If we want to have a heart that pleases Jesus we really need to listen to what God’s Word is saying to us and we need to obey Him. Jesus knew the importance of the condition of our hearts. This morning we are going to hear another parable that He told. Who remembers what a parable is? A parable is a story that Jesus told to help those listening to Him understand God’s teachings better. Let’s turn in our Bibles to Luke 8. Jesus began to tell this parable: There once was a farmer who went to his garden to plant seeds. He put his seeds in his sack that he wore around his shoulder. When he got to his garden he reached into his bag and began to scatter handfuls of seed on the ground. As he walked up and down the rows of his garden the seed scattered and fell to the ground. Some of the farmer’s seed fell on the hard-packed pathway where many feet had walked before and the ground was so hard that the seed just lay on top of the dirt. Some of the farmer’s seed fell on soil that had rocks underneath and some of his seed fell among some thorny plants. Some seed fell on rich, soft soil. The farmer finished scattering his seeds and he observed what happened to the seeds that he planted. Hungry birds that saw the seeds just lying on top of the ground where the farmer walked quickly snatched up the seeds that fell on the hard-packed pathway. The seeds that fell on the rocky ground with a little bit of soil grew up quickly. As they grew up quickly there was no place for roots to grow for the seed so when the seed quickly sprouted the hot sun and lack of moisture caused the seed to wither and die. The seeds that fell among the thorny bushes began to grow right alongside them. The thorny bushes helped shade the young plants but as the thorny bushes grew bigger and bigger their roots took up more and more of the soil. The thorny bushes choked the life out of the young plants because they had no place for their roots to grow. The young plants were not able to grow any further and have any fruit for the farmer to pick. The seeds that landed on soft, fertile soil grew into little plants, and then bigger plants and then when it was time for the farmer to harvest he was able to get a very good crop from the plants. When Jesus was away from the crowds He explained this parable to His disciples. Let’s look and see what He told them that the Seed represented (Luke 8:11). (Luke 8:12) Sometimes when God sends out His Word, the devil comes and steals and devours God’s Word so people won’t understand and cannot be saved. (Luke 8:13) Sometimes God sends out His Word and the people who hear it get excited about His word. Because they don’t grow deeper in their understanding of God and His ways when difficulty comes into their life they fall away from God and don’t follow Him anymore. (Luke 8:14) Sometimes God sends out His Word and people listen to it but they don’t allow His Word to control their lives. They let the cares of their life, the desire to be rich and the desire for other things choke out His Word in their life. (Luke 8:15) When God’s Word is heard by people who listen and obey His Words every day, He causes them to grow stronger and stronger and as they serve Him others come to know Jesus which is called bearing fruit. The people who listen and obey God’s Word bear much fruit for Him because they keep growing by hearing and obeying His Word. This morning to help us understand better what Jesus was trying to teach His disciples from the Parable of the Sower we will be introduced to four characters. Let’s meet a boy named Hardy. Hardy is a very smart boy. He gets straight A’s in every subject. He doesn’t even have to study that hard to make good grades. Hardy is also a good boy. He does what his teacher tells him to do. One day a boy in his class named Andy tried to share what he was learning in Awana. He told Hardy that Jesus loves all people and He died on the cross so our sins can be forgiven. Hardy rolled his eyes and said, “That sounds like a fairy tale to me. Only unintelligent people believe that stuff!” Andy didn’t get angry with Hardy and instead invited him to come to Awana with him to find out that it really is fun to learn about Jesus. Hardy told Andy that he had more important things to do and he wasn’t interested in going to Awana with him. Hardy was invited by another boy in his school to go to his Sunday School class. When Hardy learned that at Sunday School Bible stories were taught, he said he would not go. He was not interested in anything to do with the Bible. Here is a young lady named Ruthie. One day after school she was at the playground with her friend Mary. Mary was very excited about what had happened in her life. She couldn’t stop smiling as she told Ruthie about how she prayed the night before with her Mom and Dad. She had been learning in Sunday School that to be able to go to heaven when she died she needed to believe in Jesus. Her teacher told her from the Bible how Jesus loved every man, woman, boy and girl. He loved them so much that He died on the cross for their sins and rose again the third day. Mary wanted to be forgiven of her sins and spend eternity in Heaven. Ruthie was so excited to hear this news! She asked Mary if she could do the same thing. Mary told her yes and right there on the playground Ruthie prayed. At first Ruthie was excited and even went to Sunday School and Awana with Mary. Then some kids at her gymnastics class started to make fun of her because she wasn’t able to come to practice on Wednesdays and Sundays because she went to church on those days. When they saw her reading the Bible they laughed at her and told her that she was reading a book of fairy tales. Ruthie didn’t like being made fun of so she started making excuses when Mary would ask her to come to church. After several weeks of not going to church Ruthie decided her friends from gymnastics were cooler than Mary so she stopped hanging around her. Here is Chuck. Chuck spent a week at a really fun Christian Summer camp. His counselor taught him many things that week about Jesus and how to live for Him. Chuck made many friends that week and really felt close to God as he spent that time learning from the Bible. At camp he learned the importance of reading his Bible every day, memorizing verses and praying. Chuck’s counselors said that if he did these things He would continue to learn more about Jesus and understand Him better. When Chuck got home he read his Bible every day for several weeks. Even when soccer practice started he tried to make time each day to read the Bible and pray. One day at soccer he tripped over another player and broke his leg. Chuck could not play soccer for the rest of the season. Instead of reading his Bible and praying, Chuck got angry. He was upset that God would let him break his leg. He thought that if God really loved him, He would have never allowed him not to play his favorite sport because of a broken leg. Chuck’s Bible sat on his desk for weeks. When it got in his way he put it on the floor next to his bed. Soon it got shoved under the bed with all the other things Chuck didn’t want to pick up and found it easier to push under his bed. Here is Christy. Christy went to the same camp as Chuck. She heard for the first time at camp that Jesus died for her sins and she could have her sins forgiven if she believed in the Lord Jesus. Christy prayed at camp to be saved. When she got home she made sure that she set her alarm clock 15 minutes earlier than when she normally got up so she could have time to read her Bible and pray before she went to school. She kept doing this every day even when she wanted to sleep those few extra minutes. Christy’s parents noticed a big change in her since she came home from camp. Christy was respectful and obeyed them when she was asked to do something. At church Christy heard that a group of kids her age were going to volunteer at an afterschool program for kids who didn’t have a safe place to go after school. Christy felt that this is what God wanted her to do so she began to go with this group and help these young children with their homework. After they helped the children with the homework they had a time to share a short Bible story. After the Bible story the children would hear the Good News that Jesus loved them and died for their sins. The week that Christy told the story and shared the Good News a little boy came to her after class and told her that he wanted to be saved. Christy prayed with the boy and he accepted Jesus as his Savior. Now that we have met these four children let’s see if we can take what we learned from Jesus’ parable and decide which child represents the different soils that the seed landed on. Let them decide which person fits best for each soil. Each one of us has been given seed this morning because we have been hearing from God’s Word. What is the mirror of God’s Word saying about your heart? Are you the hard soil? When God’s Word is being taught do you try to pay attention or do you talk to your neighbor or fall asleep during a church service? If you do this you are ignoring God’s word so that when He does speak to you the devil just comes and snatches up the Word so you won’t be saved. Are you like the rocky ground? At one point in your life you were excited about reading your Bible and praying each day. You used to invite friends to Awana but when you started getting called names for being a Christian you stopped inviting. Now you kind of listen to God’s Word but you don’t really study or spend time thinking about His Word so you can’t really grow. You are easily bored with the Bible have stopped growing as a Christian. Are you like the seed growing among the thorns? Do you let everything else keep you from loving God with all your heart, soul, mind and strength? Are you more interested in sports, friends, games etc.? Or is your heart soft and tender towards God and His voice that when you hear His Words you try hard to listen and obey so that you can grow into a stronger Christian every day? You can keep your heart tender by reading and studying God’s Word and obeying what He teaches you. As you do this you grow stronger every day. By hearing and obeying His Word you will find that it is easier to say no to sin. You will want to please God and share Jesus with others. This kind of life will be a fruitful life and God will be pleased. Before you pray be still and allow the students a few minutes to think about the questions you just asked. As you pray for the students ask God to help them to get rid of anything that keeps their heart from hearing and understanding God’s Word. What kinds of ground did the farmer plant the seeds on? Where did Jesus teach the parable in our story today? Why did Jesus speak to the people in parables? Who asked Jesus to explain the parable? What did Jesus say the Seed was? Explain the different kinds of ground that the seed landed on: rocky ground, thorny ground and good ground. Which soil does God want you to be like? (Personal-Only if anyone wants to volunteer.) What soil do you think you are most like now? Why? What changes do you need to make this week so you can have a heart that pleases God? Need More Help? 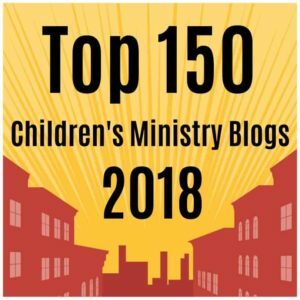 Then check out our suggestions for children’s worship music, you can also ask your kids ministry questions in our free online forums. I have been reading your sample lesson plan on the Parable of the Sower. I teach a primary grade Sunday school class, so I will have to adapt the material for a younger age group. Do you publish a DVD that expalins these parables to children? Thanks. Thanks for asking. We are a small ministry and only publish online lessons.